Tall, trusted Tandy Caide, CPA, is a long-time patron of the arts in her town, which is why you will find her sitting in the front row of the high school's annual musical production. 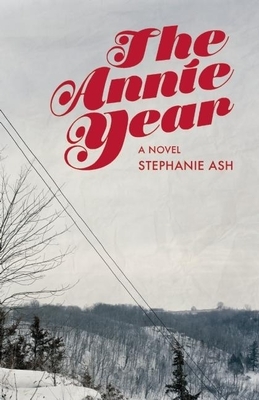 This year is an Annie year--and it would be no different than other years were it not for the high school's hiring of a new vocational agriculture (Vo-Ag) teacher. With his beguiling ponytail and decorative beaded belt, Kenny catches Tandy's eye immediately. Ignoring the fact of her slovenly husband--who takes most of his meals in their hot tub--Tandy decides to entertain Kenny's advances. Trusted community pillar that she is, Tandy's affair has instant repercussions. People are talking and her husband's subsequent breakdown and check-in to a mental institution doesn't help. At her regular meeting with the Order of the Pessimists--comprised of her deceased father's disgruntled and drunken best friends--she is asked to step down as treasurer. Not only that, but her old lover is keeping a secret somehow connected to the Vo-Ag teacher. And meth labs--fueled by the abundance of fertilizer present in the region--keep blowing up. Somehow, it is all connected to Tandy's ex-bestfriend's daughter--the star of this year's Annie. As Tandy pieces together the puzzle that has become her life, it becomes clear she must embark on a journey of self-discovery that might even include leaving town for good. Stephanie Wilbur Ash is a former editor at Mpls.St.Paul Magazine. She lives in Minneapolis and Mankato, MN, and is originally from rural Iowa. This is her first novel.